Better designed Kisan Credit Card can help improve access to institutional credit and ensure crop insurance. Regarding crop insurance, despite the government’s best intentions, it has not picked up on a scale the government would like. Efforts are on to double the income of farmers by 2022. Access to institutional credit and crop insurance are two important steps in this direction. According to 70th round of NSSO survey (2013), 52 per cent of the farmer households were indebted, of which 60 per cent had accessed formal credit. Farmers access crop loan primarily through Kisan Credit Cards (KCC). The KCC is necessary to procure good quality inputs to raise productivity and production. Every time credit flow to farmers is reviewed, it is observed that the eastern and the north-eastern parts of the country receive proportionately less credit as compared to the western or southern parts. I have heard this at meetings of district-level bankers in 1993 when I was a chief development officer. I hear the same, in 2018, at the meetings of state-level bankers when I am principal secretary of agriculture. Regarding crop insurance, despite the government’s best intentions, it has not picked up on a scale the government would like. One of the major reasons is the apathy of bankers to deduct the premium amount from the loanee farmers’ accounts in time and transfer the same to the insurer. There is another critical issue. Farmers often take a loan for some crop and sow something else. This happens because the credit limit for farmers is linked to the scale of finance of different crops. (Scale of finance is the total input cost incurred for a particular crop per hectare of land). If a farmer declares that he is going to crop sugarcane or potato, the credit limit will be high whereas if he declares that he is going to crop oilseed or cereals, the credit limit will be lower. When banks insure a farmer, they go by his declaration at the time of making the KCC and insure accordingly. There is no attempt to verify which crop has been actually planted and there is no system of asking the farmer to fill some form for crop insurance. As a result, when a crop loss is reported, there is a dispute between the farmer and the insurance company. It is catch 22 situation. On the one hand, the banker cannot name any other crop other than declared in the KCC, for a change would cause the invalidation of the card. On the other, on the farm there is some other crop which needs to be insured for the claims to be processed by the insurer. The result is that the farmer refuses to get his crop insured. The third important issue is of targeting subsidies in a proper manner. We know by now that direct benefit transfer (DBT) is a unique policy tool to target subsidy, reduce wasteful expenditure and plug leakages. This has been amply demonstrated in many areas, including agricultural subsidies. The government has been trying to move in that direction slowly in the case of urea. 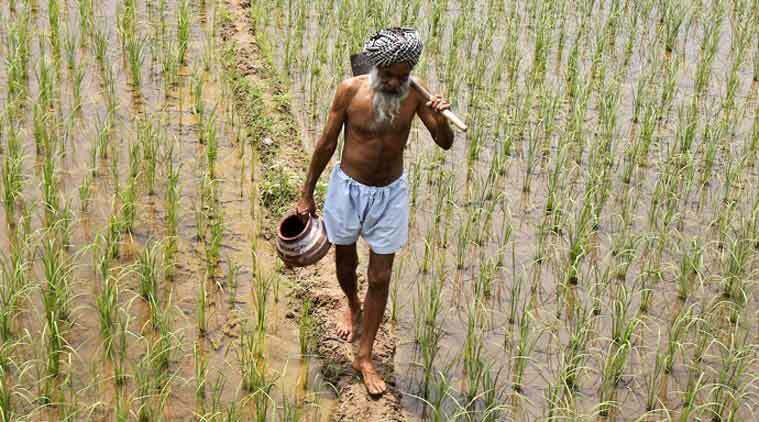 The distribution of urea is now being done through an Aadhaar-enabled biometric identification system, but it does not distinguish between a farmer and a non-farmer. The present system does not transfer the fertiliser subsidy to the bank account of the farmer. However, DBT can address the issue of diversion of subsidised fertiliser for other uses and also cross-border diversion. When that starts, the issue of making upfront payment will come up. Since urea is a heavily subsidised item, small and marginal farmers may find it difficult to make the full payment upfront. This can be fixed by making two changes in the KCC. The limit of a KCC can be de-linked from the scale of finance of the crop sown and be based on the area of land held by a farmer. This will result in two things. One, the farmer will not have to make a false declaration to get a higher credit limit. This will result in true declaration of the crop sown and hence, the discrepancy seen in crop insurance will be addressed. Second, it will address the issue of distorted inter-regional credit flow to farmers. With the upper limit of Rs 3 lakh for a KCC, it should be possible to provide a limit of Rs 1 lakh per hectare per annum for crop loan to the farmers at the current level of provisioning in this head by the central government. This will ensure that credit flow to farmers in backward regions increases. Increasing access to formal credit is necessary for enhancing incomes of farmers, especially the small and marginal. Farmers who cannot access institutional finance have to seek credit from informal channels, which charge them anywhere between 24 to 36 per cent per annum as interest. In contrast, those who have access to formal bank credit receive it at 7 per cent per annum, which further gets discounted to 4 per cent. Some fear the farmers may misuse the crop loan if it is not linked to the scale of finance. Such persons should do a field check about the “proper utilisation” of crop loan in its present form. This brings me to DBT in fertiliser subsidy. My solution is the credit limit under KCC can be split into two parts. Part A can consist of 75 per cent of the credit limit and part B the remaining 25 per cent. While the farmer is allowed to withdraw the amount under part A from the ATM or any other mode, the amount under part B should not be allowed to be withdrawn as cash and used to pay the subsidy part of the input being purchased. The farmer can pay an amount equivalent to the price being paid by him from part A or any other source in cash and the amount of subsidy from part B by swiping the card, thus paying the full price upfront. It should be technologically possible to divide the card in two parts by having different PIN numbers for them. The subsidy will be transferred through DBT to part B of the card. This will ensure better targeting and encourage digital transactions. It is high time the KCC is redesigned for better outcomes.